Today we are going to expand the NetApp ONTAP 8.1.1 Simulator to hold the maximum supported Disk sizes. 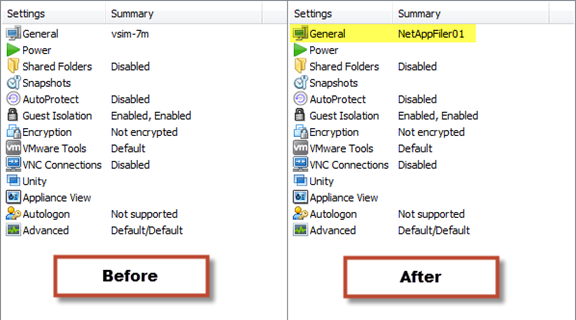 First you need to download the NetApp ONTAP 8.1.1 Simulator from NetApp at http://now.netapp.com/NOW/cgi-bin/simulator. You must have a NOW account to download the Simulator. (Do not ask me for the Simulator). While you are there download the OnCommand System Manager a GUI for NetApp https://now.netapp.com/NOW/cgi-bin/software. In order to run the Simulator you must have VMware software, I am using VMware workstation but player will also work. Extract the Simulator to the directory of your choice. Several files will be extracted the one we are looking for is DataONTAP.vmx, this is the Virtual Machine. Double clicking this will open the VM in VMware workstation (or player). There are a few things we are going to change before we start the VM, so first click on the edit virtual machine settings. On the hardware Tab I an going to kick the memory up to 2 Gig (you do not need to change this), and set the first network adaptor to use bridged (VMnet0) or whatever you need to make it work in your network. On the options tab I am going to rename the VM. At this point if you start the VM it will go into an endless boot loop. You need to first reset the Filer and run through the initial setup. Do this by pressing CTRL-C when prompted. At the boot menu select option 4 ‘Clean configuration and initialize all disks’. After the network interface becomes active you are done, this will take a little bit of time. The filer is active at this point and you could use it, but we want to get the largest disk space we can. Enter in new password. <– Password must have letters and numbers and must be at least 8 characters. 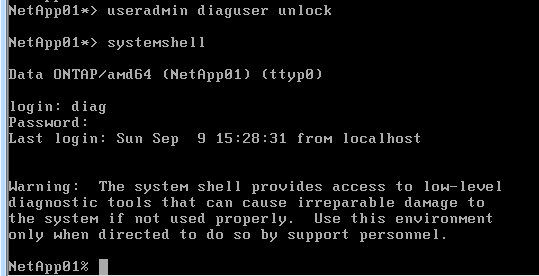 Launch the systemshell and login as diag, enter the password you have just set. Next we will add 14 Disks to shelf 2 and 3. Shelves 0 and 1 already have 1 Gig drives assigned, we will change these later. Then exit systemshell and lock the diaguser. I am going to create another one similar to this one but on 3 of the new disks we just added. Now copy the current root to where the new root will be. Set the new volume as the root. Something seems to go funny with the SSL certificates so you cannot also connect with OnCommand System Manager. The easiest way is to just recreate them. Enter Y to proceed and then you can just accept all the defaults. Or if you really want you can put in more accurate values for your setup. Then turn back on SSL. Remove the old vol0 and aggr0. Rename the root aggr and vol back to the original names, not really necessary but will make things cleaner if you follow any directions from other places. Next we will add 14 Disks to shelf 0 and 1. Now is a good time to shut the system down and take a snapshot of the VM. After the system is stoped turn it off and take snapshot using Vmware or zip/rar the files as a backup. 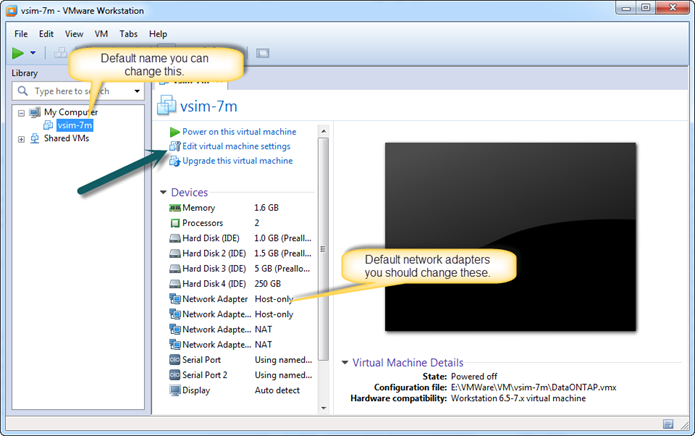 The only other thing you may need to do is expand the VM Disk to hold the larger Filer Disk files, not included in this blog.